Classical Ballet in true Russian style! 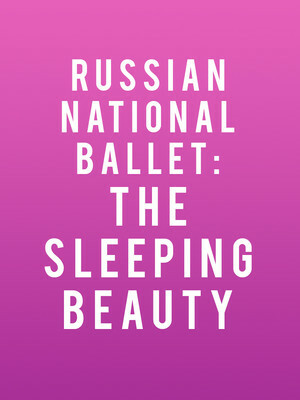 Why See Russian National Ballet: The Sleeping Beauty? Don't miss the return of the esteemed Russian National Ballet as they present Tchaikovsky's glorious iteration of The Sleeping Beauty. Founded in the 1980's, the RNB were one of the first companies to combine traditional Russian Ballet with the new found creativity that came with freedom from the Soviet Union. Now numbering over 50 dancers, an RNB performance is a truly transporting, lavish spectacle for all ages. When the time comes, the Lilac fairy bewitches the whole realm into sleep, joining Aurora in her sentence, as vines and trees grow up around the palace, hiding it from view. Finally, Aurora's saviour, Prince Desire arrives and plants on her true love's kiss, waking the Princess and kingdom just in time for a jubilant and triumphant wedding ceremony! Sound good to you? Share this page on social media and let your friends know about Russian National Ballet: The Sleeping Beauty at Van Wezel Performing Arts Hall.